This is an uplifting tale of resilience with escapist appeal. 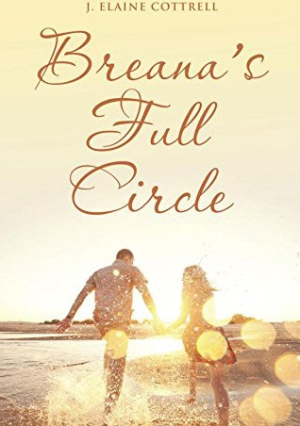 J. Elaine Cottrell’s Breana’s Full Circle is the rags-to-riches story of a sweet young woman whose faith and kindness are put to the test, but wherein a happy ending is still promised to those who can hold onto their innate goodness in a dark world. This is a twentieth-century fairy tale with a plucky, optimistic tone at odds with the grim voices of our daily newscasts. Abandoned as an infant, Breana is all alone in the world and at the mercy of the kindness of others to protect her from its cruelty. As she grows up, Breana must come to terms with never knowing her family and never having a true, single place to call her home. Despite her trials and misfortunes, she never loses her sense of joy and kindness, and she grows up to be a loving young woman. Eventually she is adopted by the the American ambassador to Jamaica; even when it seems that her troubles are over, though, there are still dark trials ahead before she can truly find a loving home and family. The novel often reads like a fairy tale, with plot twists and turns that are soft and sanitized. For all the violence and fear that Breana lives through, there is always an understanding that her innate goodness and purity will allow her to pass through difficult times. Although the novel is often saccharine, there is a consistent, sincere optimism at its core that will touch even the hardest-hearted cynic. The prose leans on dialogue, using conversation to drive the plot forward. But that dialogue also relies on exposition, and sections often tell rather than show. Even as events play out, they remain distant. A good ear for accents and speech patterns populates Breana’s Full Circle with distinctive, full voices that add a richness to the otherwise bare-bones prose. With a narrative that lays out a clear path of neat plot points, Breana’s Full Circle is an easy read. The only roadblocks are the minor but regular misspellings and missing punctuation marks. Breana lives in a world where love will always triumph and where, in the end, those who are good and faithful will receive their rewards. For those who prefer their fiction dark and gritty, the polished and twinkling nature of Breana’s Full Circle will be off-putting. But those looking for an uplifting tale of resilience or an optimistic view to take them away from the pessimism of the daily world may find J. Elaine Cottrell’s story to be just the book they need.